After receiving quite a few messages from random authors with requests to read their latest book, (many of these people were not on my friends list.) I felt this reminder was in order! 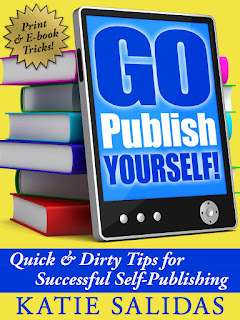 However, you can’t treat your online presence as a virtual billboard for your books. The biggest part of social networking is the social aspect. I’m sure you’ve heard this a million times, but you need to be active online. However, there is a caveat. “Active” means being a participant, not a spammer. If you’re on Facebook, Myspace, LinkedIn, etc., before you even think to post something about your work, go through your friends list and make sure you have given other people’s posts time and consideration. You’re not the only one out there. Your followers are your audience and your potential readers. Keep them close. They are the ones who will (hopefully) buy your next book; you want them to know you care about them beyond whether or not they will read your book! Here are a few quick Social Networking don'ts to avoid. Don’t directly ask someone to follow you. There are millions of people online, and it may be tempting to contact them and suggest yourself as a person of interest. Trust me, don’t do this. Instead of coming across as cool and interesting, you come across as the type of person who will spam their friends daily with request of “buy my book.” Be interesting and social, toss out your screen name or Twitter handle when asked, but don’t go begging for new followers. Don’t email or message strangers with advertisements for your book. Don’t contact random strangers or new followers and shove your book’s information under their noses. If someone gets to know you, they will naturally learn about your book. That’s a better sales pitch than the hard sell. Don’t use your social profile to only talk about yourself or your book. Don’t forget to proofread your posts. You’re an author—people will judge your spelling and grammar a little more harshly than they would any other average Joe’s. Put your best face forward and quickly proof your post before you hit send. Don’t use links in every post. If all you do online is post links, you will be ignored very quickly. This is not interacting with your audience. It’s okay to post the occasional link, but your purpose for social networking is to be part of the conversation, not someone who stops the flow and directs traffic away. Don’t post hundreds of updates a day. Posting too little can be troublesome, but posting too much is worse. Instead of being creative and witty, your posts become white noise among the throng of thousands of other people spamming the system. Only post when you have something worthwhile to say; otherwise, stick to commenting on your friends’ posts. Don’t pester someone who stopped following you. There are many social “helper” sites that will let you see who is and who is not following you. If someone has dropped you as a “friend,” there was probably a good reason for it. Either you were not interacting with them, they did not like what you had to say, or you spammed them. No matter what the reason, leave them alone. Pestering a dropped follower is a sure-fire way to give you a bad reputation online! Do join in the conversation. Did one of the people you follow say something witty? Respond to it. Get in on any good conversations that are happening. That’s the best way to be social and get to know your online friends. Do share funny links, videos, posts, etc. Just do it in moderation. Remember what I said above, don’t spam the system. Do ask questions in your post to promote social interaction. I have found that asking the audience really gets people involved. I write about vampires and ask lots of opinions of my readers, wanting to know what they like and don’t. The questions result in tons of responses. This is awesome advice. Thanks for posting. I would add to this "Do give your friends a chance." If you are being promoted, touted, praised, etc by someone who you think is not on your level, who you don't click with, etc., give him/her a chance to grow on you, anyway. My most dedicated retweeting followers are not professional writers. They're just readers. They love me, & they promote the heck out of me. I'd rather have 100 of them than 10000 followers who have my same level of education & standards for proofreading. Great advice - and it echoes what other social media experts say. I've added you to my google reader! Looking forward to read more. Thanks for stopping by and reading. 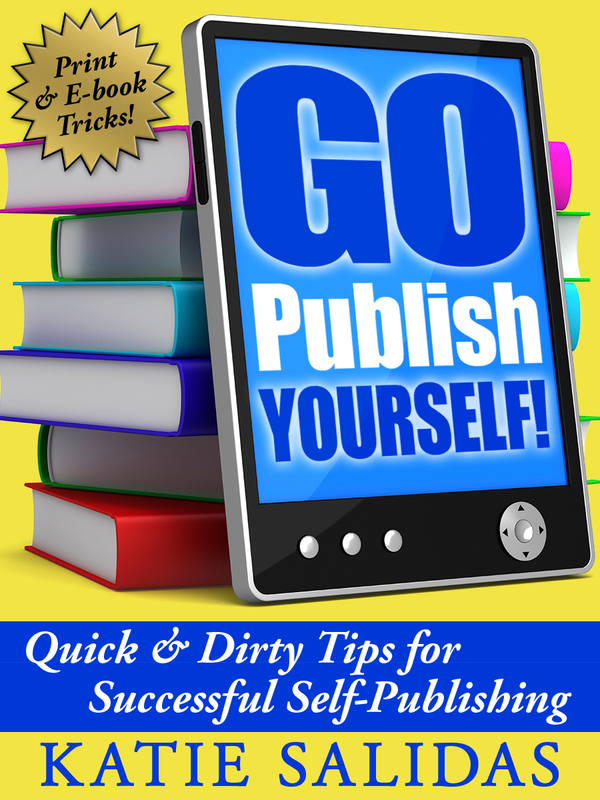 For a lot of authors, it's so easy to fall into the spamming trap. I thought a little reminder would be helpful. Great post, Katie! Thank you for taking the time to share your insight. This should be some sort of biblical commandments shared far and wide. Thanks for the reminder, Katie. Once a spammer actually went and posted a comment about their book on a site that hosted me for my book. That was just rude!